Lead Single "New Year's Day"
The UK native, formerly Paris-, now San Francisco-based indie/electronic artist Micropixie has released her new track "The Universal". The track is currently streaming via Under The Radar who writes that Micropixie's interpretation "...brings to the fore the original song's lounge groove and mystified sense of play". 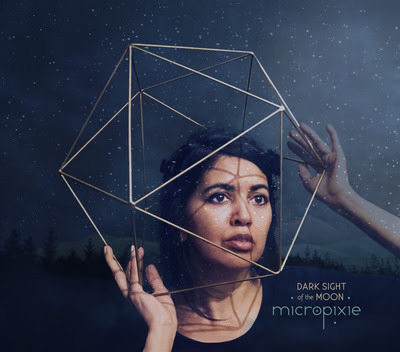 Micropixie will release her new album Dark Sight Of The Moon on International Women's Day, March 8, 2019. 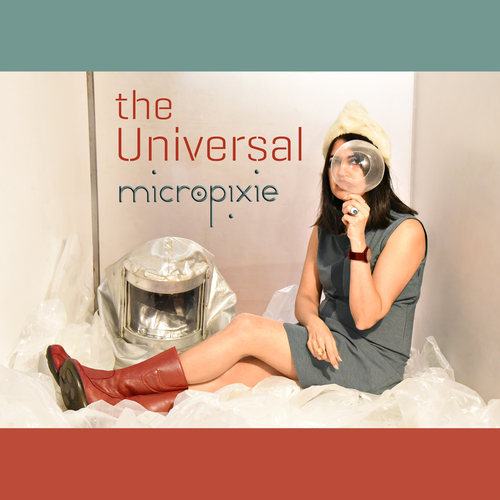 Listen: Micropixie - "The Universal"
"After learning that I too was a Damon Albarn fan, it was my collaborator Paco Serén who suggested that we cover 'The Universal'," writes Micropixie. "By that time, I felt free enough with Paco to experiment vocally and not be shy. So that's how those opening 'doodle lüt-du's came about. He loved those, and also these two other places in the song, which he calls my ’perfume moments,’ (he said he imagined me sitting in front of a dressing table spraying perfume out of one those old-time atomizer bottles... hilarious image!) Such brilliant lyrics about the working class being brainwashed to accept their 'fate'; the subjugation of the poor via the con-trick that is the National Lottery. What a perfect candidate lyrically for Dark Sight of the Moon." Micropixie announced Dark Sight of the Moon with the release of the single "New Year's Day", which was acclaimed by The New York Times, Glide Magazine, and others. She also recently released a video for an abbreviated cut of the song. Known in human form as Neshma Friend, Micropixie is the alien alter-ego and creative persona through which Friend’s voice finds its muse. The new record is the last chapter in a narratively-linked trilogy of albums alongside The Good, The Beige & The Ugly (2012), and Alice In Stevie Wonderland (2005). The triptych of albums tells the story of Micropixie’s journey to earth and her conflicted search for her true identity among humans, whose behavior she finds illogical. This sci-fi journey parallels Friend’s personal reflections on her own real-world background and international heritage. Micropixie summarizes this complex interweaving of fact, fiction, and cultural politics in her animated short film, “50 Shades of Beige”.